July 19, 2014 | Columbia — This year's July Calendar of SC Events is brought to you by the 5th annual Palmetto Tasty Tomato Festival, a celebration of locally grown food – including the people who grow it, the restaurants that place it on their menus, the markets that sell it, and the people who eat it! Continuing its traditions of old-time festival fun, this year's Tasty Tomato's programming includes a free heirloom tomato tasting, live music, local food and drink vendors, tomato bobbing, and the highly anticipated Tasty Tomato Contest! Presented by Sustainable Midlands – champion of South Carolina's sustainable foods. In addition to SCIWAY's July Calendar of SC Events, remember that all of our event calendars, for every month of the year, are always available on our website – just go to https://www.sciway.net/calendar.html. You can sort events by date, city, name, or type – it is hands down the best South Carolina calendar anywhere! Page's Millpond in Dillon County was originally called Ford's Mill in honor of Preserved Ford and his son Major William Ford, who constructed a dam here in 1782. The dam, which still stretches across Bear Swamp, once powered a gristmill and cotton gin. The property remained with the Fords until 1873 when Joseph Nichols Page purchased it from his brother-in-law, Dr. C.T. Ford. Page then renamed the cypress pond Page's Mill, built a second millhouse, and opened a large general store. Page added a post office in 1877 and became the community's first postmaster. In 1907 the area surrounding the mill officially incorporated as Page's Mill; however, in 1916 residents elected to change the town's name to Lake View. 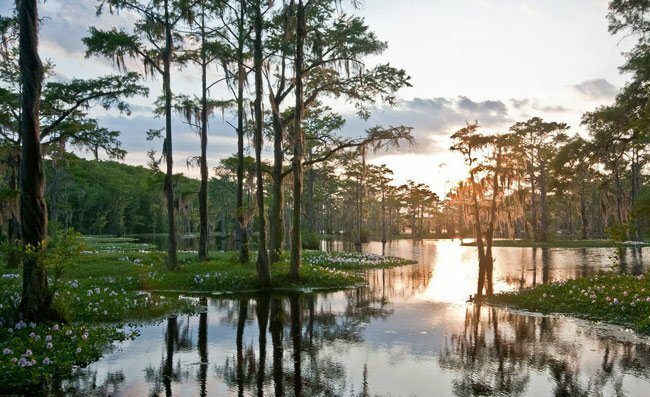 As of 2014, the property features 295 acres and includes a cypress swamp with two beautiful spillways. The "lake" itself covers 60 of these acres. The mill no longer functions, but photographs can be taken from the shore. The millhouse shown here is the third to occupy the site; it was built by B.P. Parish, Sr. in 1934. 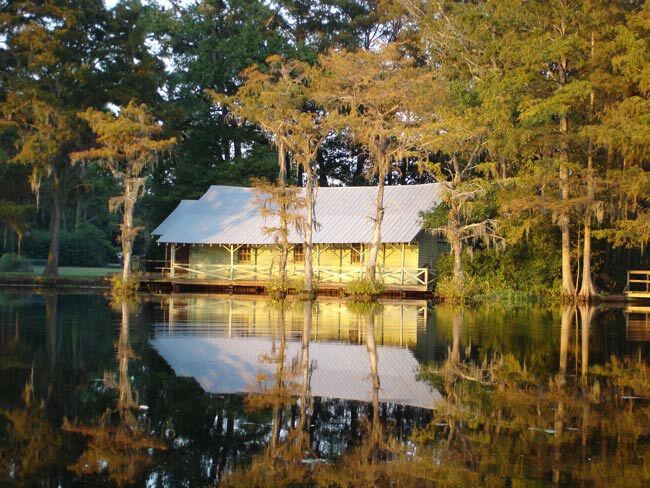 The simplicity and serenity of Lake View belies a fortitude unmatched by any other town or city in South Carolina. Lake View High School's Class 1A Division II "Wild Gators" have brought home nine football state championships, eight baseball state championships, and one basketball state championship. The softball team has also earned a state championship – as well as three lower state championships. The school has earned its nickname, Home of Champions, fair and square. 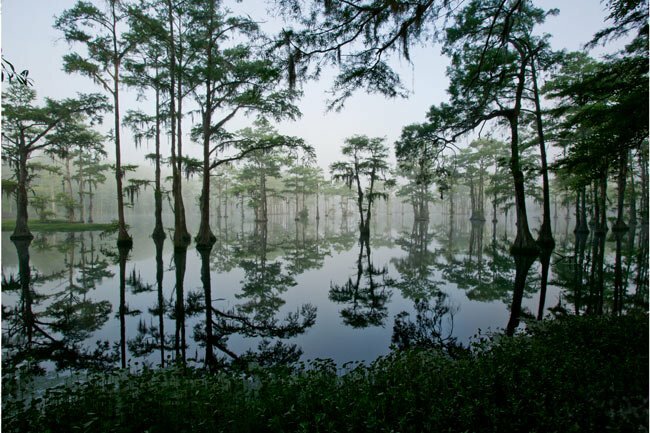 Such ferocity makes one wonder what "wild gators" lurk beneath the glassy surface of this exquisite lake. When making your plans for summer, don't forget these helpful resources from SCIWAY. Just click on the buttons below to learn more!